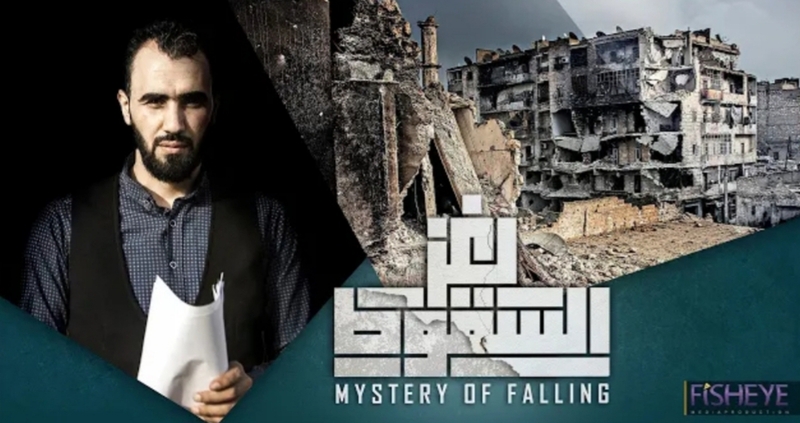 A new documentary called “Mystery of Falling” examines what took place in Aleppo in 2016, from the perspective of “pro-revolution” opposition members and leaders. Article originally published in American Herald Tribune on July 15th, 2018 written by Sarah Abed. What they mistakenly refer to as the fall of Aleppo was more accurately the dismantling of their western-funded fake “revolution”, and the liberation of innocent civilians that were held captive and besieged for five years by terrorist factions in Aleppo. However, this was not what corporate media channels reported. Instead, they focused on a few dishonest self-proclaimed “journalists” and social media personalities that were equating the events to a holocaust. They created coordinated “goodbye” videos and tried to create worldwide hysteria in a propaganda campaign that ultimately was futile. Aleppocaust even became a popular hashtag. I wrote about the events that took place and the main actors that were purporting this narrative in an article titled: Aleppocaust? Final Goodbye Messages from Aleppo’s Finest Actors. One of those interviewed in the documentary is none other than Maayouf Abu Bahr (pictured above in a screenshot from The Mystery of Falling documentary) a member of the Al Zinki terrorist group that beheaded a 12-year-old boy named Abdallah Issa on the back of a pickup. They mockingly recorded every disgusting minute of it in pictures and video, from taunting young Abdallah and asking how he would like to be killed, to the gruesome beheading. Abdallah had quietly pleaded to be shot instead of decapitated, but that wouldn’t quite satiate his killers’ thirst for blood. Maayouf is pictured below on the bottom right, in the pickup truck, with his fellow Al Zinki terrorist friends that killed young Abdallah Issa. The documentary mentions that the opposition groups lacked proper organization and cooperation in Aleppo which was a contributing factor to their epic loss. Each group controlled a specific area and did not work well with the neighboring terrorist groups. The liberation of Aleppo was one of the biggest defeats in their fabricated “revolution”. They were emotionally and morally defeated before being militarily conquered. Maayouf Abu Bahr mentioned that in addition to the Syrian and Russian forces there were 32 other groups that were pro-Assad that were fighting against them. It’s interesting to hear those interviewed admit and accept the fact that internal treachery, dishonesty, and other negative factors led to their defeat. Life in Aleppo quickly returned back to normal after liberation. Civilians returned to their homes, children returned to their schools, shops reopened and the grueling life they once lived, under the ruthless reign of terrorists, became a memory in the minds of those who were fortunate enough to make it out of this ordeal alive. What terrorist sympathizing social media personalities such as Hadi Abdallah want you to believe is that life under these terrorist opposition groups is favorable to the Syrian government, but the on-the-ground truth obliterates this and their many other lies. Featured Image and Image of Mayouf Abu Bahr are screenshots taken by Sarah Abed from the “Mystery of Falling” Documentary. Thanks Sarah. It’s pretty terrifying, Isn’t it? By the way, “What terrorist sympathizing social media personalities such as Hadi Abdallah want you to believe is that life under these terrorist opposition groups is favorable to the Syrian government…” means the opposite of what you intended. I know English isn’t your first language. I just thought you might like to know. Just substitute ‘preferable to’ for ‘favorable to’. And keep up the good work.